This is finally the year when Genesis stepped onto its own out of Hyundai’s family and became its own brand. The debut year lineup includes the G90 and the G80. The latter, the torchbearer that used to be called the Hyundai Genesis–where the brand got its name–is targeting frugal luxury car buyers who are concerned with getting their money’s worth out of their premium vehicle. 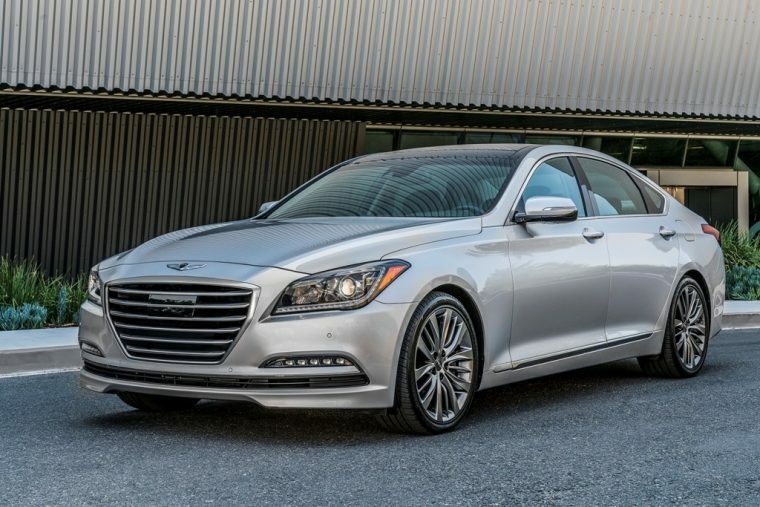 What’s New for the 2017 Genesis G80? 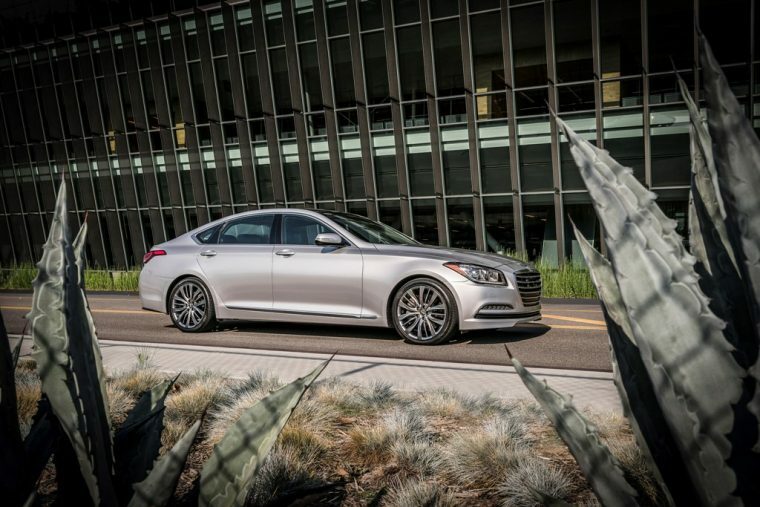 The most substantial and obvious change for the 2017 Genesis G80 is the name. Formerly the Hyundai Genesis last year and years previous, the G80 has migrated to join the newly-formed Genesis brand lineup. As its been preparing for this leap for years, the G80 doesn’t undergo a physical transformation as drastic as its name change. This year’s alterations amount to more standard driver-centric, safety, and infotainment features than before being standard–items that used to be included in optional add-on packages. The introduction of Android Auto and Apple CarPlay integration across Genesis and Hyundai lineups also reaches the 2017 G80. 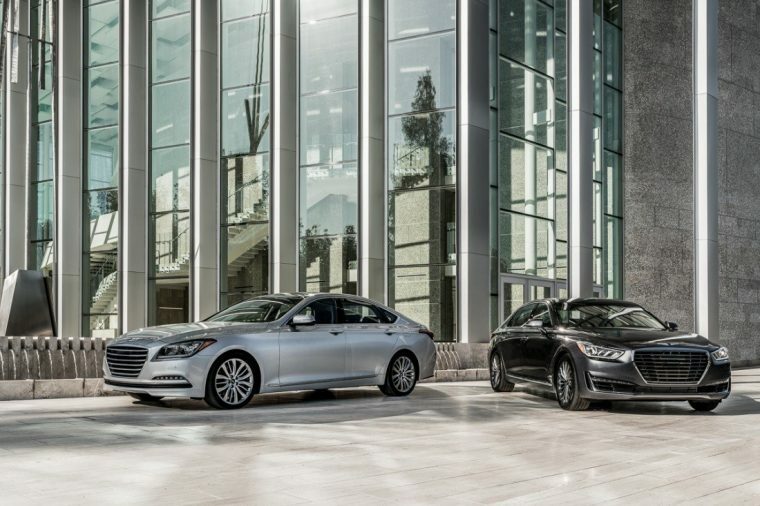 The 2017 Genesis G80 is offered in two trim levels: 3.8 and 5.0. Both come in standard rear-wheel drive, with optional HTRAC All Wheel Drive for the 3.8 Trim. This four-door sedan has a long smooth body with a steeply curved rear end and wide front grille. 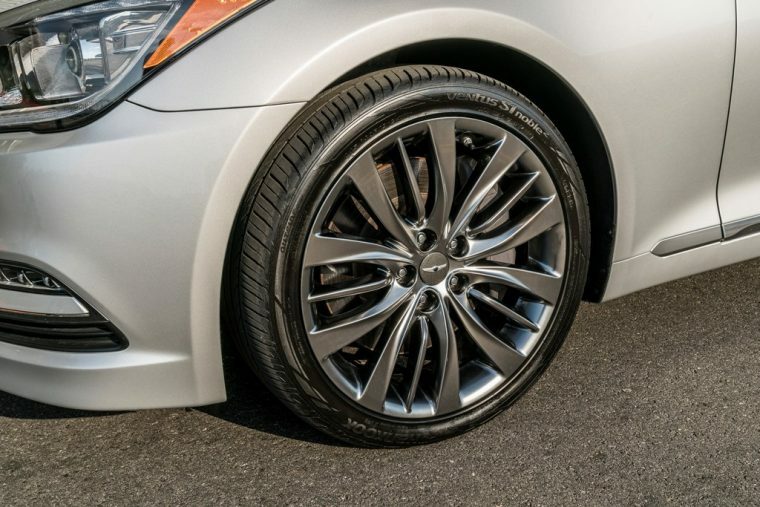 The perfect balance between the shape of a luxury car with the stance of a performance car, the G80 stretches 196.5 inches in length, 118.5 inches from wheel to wheel. The Genesis G80 not only looks like a luxury car inside and out, it feels like a performance vehicle behind the wheel. 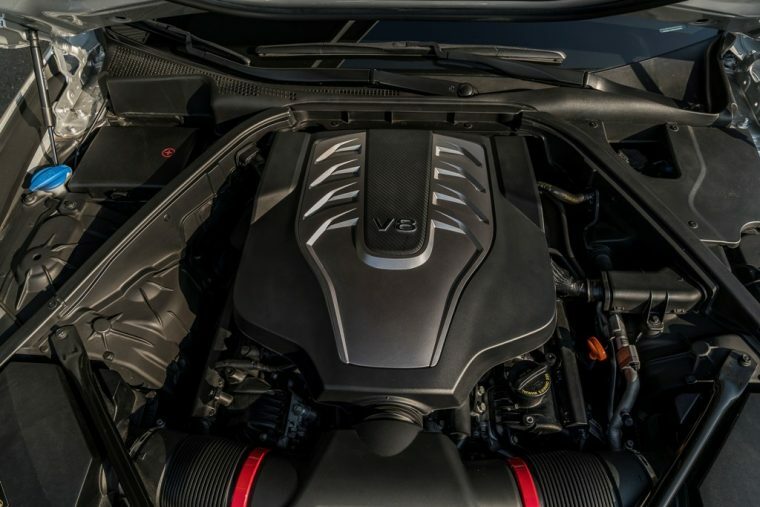 Under the hood, the base trim houses a 8.0-liter DOHC 24-valve Twin Turbo V6 engine capable of an impressive 311 horsepower and 293 lb-ft of torque. Stepping up to the 5.0 trim, that machine is upgraded to a burly 5.0-liter DOHC 32-valve V8 that reaches 420 horsepower and 383 lb-ft of torque (premium) or 407 horsepower and 372 lb-ft of torque (regular). That’s quite impressive for a vehicle as affordably priced as the G80. Both options are paired to an eight-speed electronic automatic transmission with paddle shifters. Because of the strength of the engine driving the G80, its fuel efficiency isn’t one of its selling points (but then again, should it be if you’re looking at a car like this?). The V8 engine with rear-wheel drive gives the G80 a combined fuel efficiency of 18 miles per gallon, with 15 average mpg in the city and 23 on the highway. The V6 engine, while the weaker option, also gets slightly better fuel efficiency–19 mpg combined with all-wheel drive or 22 mpg with rear-wheel drive. Still, that’s on par with its competition from other luxury performance brands like Lexus and Infiniti. What the 2017 G80 wants to make its primary selling point–and does so successfully–is its luxurious interior. 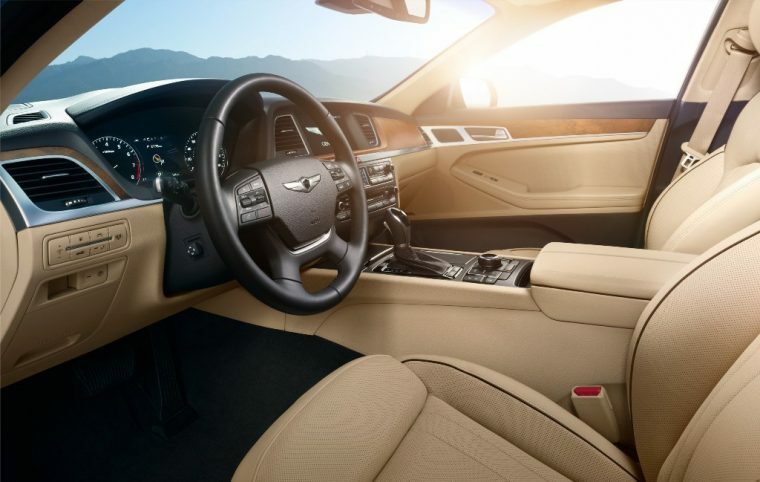 From the premium leather and wood materials throughout the cabin to the wealth of intuitive, driver-oriented technology features, the G80–as well as the rest of the Genesis lineup–exudes a classiness you wouldn’t think to find at a price under $45,000. Comfortably seating five passengers, the G80 is optimized for a serene riding experience that feels like gliding down the road. To build hype for the brand this year, Genesis has been touting the many autonomous (or, rather “semi”) features being included in every Genesis model–items which we’ve already seen in Hyundai models, like Blind Spot Detection. This will no doubt be a selling point on every Genesis model in the years to come. In addition to the fancy gadgetry, the 2017 G80 received a five-star safety score from the NHTSA’s front, side and rollover crash tests.